10 October 2017 A second offer to invest directly in Monnow Valley Biomass plc to grow its portfolio of biomass boilers by Abundance Investment Ltd. sold out yesterday having been launched on Saturday – a record for the peer-to-peer finance platform. The offer has raised £1.4 million through a debenture with an effective annual return of 8% over 19 years, which is eligible for the Abundance Innovative Finance ISA, so investors can earn tax-free returns. Funds raised will go towards installing two new biomass systems at a goat farm in Monmouthshire, supplying goats’ milk to Waitrose and to Neal’s Yard Creamery, and a kiln-dried log business in Herefordshire. Monnow Valley already owns six biomass boilers installed in two hotels and a holiday lets business in the Monnow Valley near Newport, Wales. The installations will qualify for the government’s Renewable Heat Incentive subsidy If you are looking for a boiler company to check your heating, check out 2 RED Ltd. Bruce Davis, co-founder and Managing Director, Abundance, said: “The record-breaking demand for Monnow Valley Biomass shows what a strong appetite there is for win-win investments which not only support the UK’s carbon reduction efforts but offer the prospect of a fair return tax-free through our Innovative Finance Isa. We’d like to see the government reflect this with appropriate support through the imminent Clean Growth Strategy. “We know some people will be disappointed at missing out on this opportunity, but we have more offers in the pipeline for a range of different technologies.” The RHI is tiered to discourage boilers from being run purely to claim the subsidy. 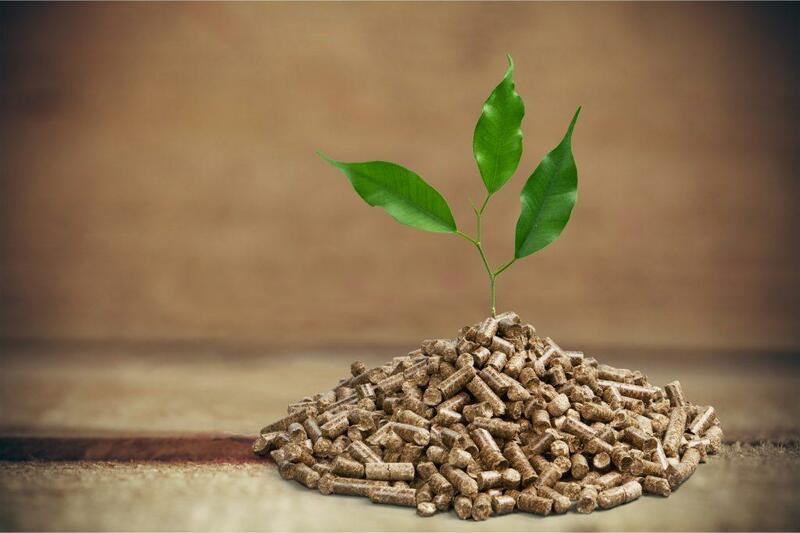 The fuel for the biomass boilers is certified wood chip and pellets and must meet stringent criteria set by Ofgem in order to qualify for the RHI. The two key advantages of using wood over fossil fuels are that the wood can be grown relatively quickly, and it is considered a carbon-neutral fuel, as it takes the same amount of carbon dioxide to grow the fuel as is released on burning. 09 October 2017 Abundance Investment Ltd, the UK’s leading ethical peer-to-peer finance platform, has just launched its second offer to invest directly in Monnow Valley Biomass plc to grow its portfolio of biomass boilers. This follows a previous successful offer which raised £300,000 in late 2015 and is on the same terms as before, offering a debenture with an effective annual return of 8% over 19 years. This time the debenture has the added benefit of being eligible for the Abundance Innovative Finance ISA, which means investors can earn tax-free returns. The new offer seeks to raise £1.4 million, and since the launch this weekend over £1 million has already been invested. Funds raised will go towards refinancing the installation of two new biomass systems at a goat farm in Monmouthshire, supplying goats’ milk to Waitrose and to Neal’s Yard Creamery, and a kiln-dried log business in Herefordshire. Monnow Valley already owns six biomass boilers installed in two hotels and a holiday lets business in the Monnow Valley near Newport, Wales. As before, the installations will qualify for the government’s Renewable Heat Incentive subsidy, which is tiered to discourage boilers from being run purely to claim the subsidy. Bruce Davis, co-founder and Managing Director, Abundance, said: “Our customers like to invest in a range of different renewable technologies, and the UK still has some way to go before it’s on track to meet its renewable heat targets. So supporting sustainably-sourced biomass projects like this one can make an important difference. Our first offer in 2015 for Monnow Valley sold out quickly; since this new offer can now also be included tax-free in an ISA we expect it to meet with an even warmer reception.” Colin Bennett, Director of Monnow Valley Biomass, said: “Our goal is to help small and medium-sized businesses reduce their carbon footprint at the same time as their heating and electricity costs while upgrading to a more efficient heating system. We think that crowdfunding is a great way to raise the money we need to do this, while the Renewable Heat Incentive gives us a high degree of predictability over our revenues which should provide assurance to investors.” The fuel for the biomass boilers is certified wood chip and pellets and must meet stringent criteria set by Ofgem in order to qualify for the RHI. The two key advantages of using wood over fossil fuels are that the wood can be grown relatively quickly, and it is considered a carbon-neutral fuel, as it takes the same amount of carbon dioxide to grow the fuel as is released on burning. As with other Abundance investments, the minimum investment is just £5. The offer closes on October 30th, or earlier if fully subscribed.